Altcoins (Alternative Coins) are where some of the best returns that can be made when it comes to cryptocurrencies. Of course, with the prospect of increased return comes increased risk. Altcoins are coins outside of the top 30 or so main cryptocurrencies (like Bitcoin, Litecoin, Ethereum, Ripple, etc. ), the ones that are not as well known. The number of cryptocurrencies is growing and currently stands at nearly 1400, most of them based on similar blockchain technology used by Bitcoin. While the majority of these cryptocurrencies will not find mainstream adoption or even a sharp price increase, there are those that will skyrocket. The next Bitcoin (BTC) could be hidden among hundreds of other coins that are destined to fail. Even governments are now creating their own cryptocurrencies, with Vladimir Putin in strong favor and the Venezuelan government proposing a new petro gold cryptocurrency. 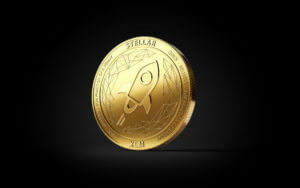 Finding an exchange where you can buy these coins at an early stage could yield large profits. Technically speaking, the best exchanges to buy altcoins will be ones that list newest coins the fastest. This means that users can get in earlier than others to take advantage of the market. Aside from this, the exchange will need to have low fees, be secure and have a nice interface. Needless to say, choosing a Bitcoin exchange or altcoin exchange will always be a tradeoff between cryptocurrency trading pairs, fees, security, customer service, and interface quality. Here is a look at some of the best altcoin exchanges. Binance launched in July 2017 and its growth has been phenomenal. It is ranked in the top 10 exchanges by volume and features over 100 different cryptocurrency pairs. Since its ICO, it is one of the fastest growing and most popular cryptocurrency exchanges on the market mainly due to the way it is structured and its user experience. It has its own coin called Binance Coin (BNB). This coin gives users a discount on their purchases, and customers only pay .05% on orders when using this token, which is one of the cheapest rates on the market. Binance verification procedures are quite easy and you do not even have to get verified if you are withdrawing less than 2 bitcoins per day. Binance does not accept fiat deposits, so you will have to acquire your cryptocurrency somewhere else and then transfer it to Binance. Some have said that Binance is the fastest startup in history to achieve “unicorn status”. A unicorn company is one with a valuation of over $1 billion. Within 6 months Binance was valued at $2 billion. The Binance.com user interface offers both beginner and trader views to suit individual preferences, but it is really geared more towards traders as opposed to small-scale investors in terms of its user interface. Currently Bitcoin is valued at around $7,500 [updated May 2018] so you do not need to get verified unless you are withdrawing huge amounts of money. Binance lists alternative coins far quicker than its larger competitors such as Kraken or Coinbase, so you can get altcoins on Binance first. Binance originally had its headquarters in China but has since relocated due to regulatory uncertainty in the region. It is not location-specific, unlike many other exchanges, and is accessible to people all over the world. Binance is the most successful exchange of the past year. It is possibly the most successful ever, given how many users joined with the first 6 months of its opening. Binance offers cheap trading fees and a unique speculative investment through its BNB, and it does not require verification. These are huge advantages. The real disadvantage of Binance is that it is simply not as secure as the other exchanges we know so well such as Coinbase and Kraken. Another thing to keep in mind is that Binance does not feature margin trading. It is very new and operates more like a company than an exchange. Take advantage of the range of altcoins and the low fees, but be sure not to store too much money on this exchange. Kucoin is another popular exchange that is in many ways to Binance. Some would even go as far as to say that Kucoin simply stole Binance’s idea, which would be in line with the Chinese business “copycat” stereotype. Regardless, Kucoin has been a huge success with 200,000 users joining in the first 3 months. The Kucoin token is the Kucoin Share (KCS). The KCS grants customers discounts on trades and has an excellent dividend feature. Shareholders (people who own the KCS) are paid dividends in the form of a basket of altcoins. You can indirectly invest in a large array of alternative cryptocurrencies, some of which are brand new to the market. Kucoin is like Binance and is quick to list new coins compared to its larger competitors. Additionally, deposits on Kucoin are confirmed extremely fast. The current trading volume of KCS is $250 million compared to the $6 billion volume of Binance. However, Binance has made it harder to join as it does not have the infrastructure to take on any more customers. This bodes very well for Kucoin who are all set to gain more and more customers, which will increase the price of the KCS. Kucoin is nearly an exact replica of Binance and if it achieves anywhere near the level of adoption of Binance the value of the KCS will shoot upwards. Kucoin also has tiny fees compared to its Western counterparts, and is one of the cheapest exchanges available with .07% fees when using the KCS. One of the biggest advantages of Kucoin is that it also has a mobile app and an awesome customer service team as well as a great interface. Like Binance it lists new cryptocurrencies very quickly, has minimal verification procedures and offers its own coin with tiny fees. As an added bonus, it has fantastic customer support. Like Binance, it is also not the most secure of exchanges so be careful not to keep too much cryptocurrency on this exchange. Use it to make profit and then get your coins out of there. It has been around less than a year and its growth has been explosive, which is great from a speculative perspective but not so good from a security standpoint. Kucoin moved away from China due to the regulatory environment and is now said to operate out of South Korea. Cryptopia is a P2P marketplace. What this means is that it is essentially a crypto trading site for buying and selling cryptocurrency. You can buy and sell many cryptocurrencies with a variety of different payment methods from different sellers. Cryptopia is a P2P marketplace that also has its own trading exchange, so you can get the best of both worlds. Cryptopia is registered in New Zealand under the name Cryptopia Limited. It is not limited to certain locations like a lot of the larger exchanges. Cryptopia does not require verification as long as you are withdrawing under $5000 a day. Once your account is opened you can use it anywhere in the world. The only fiat currency that is accepted for deposit by Cryptopia is New Zealand dollars. Cryptopia was registered in 2014 so the company isn’t new to the cryptocurrency world, though it is not as old as some of the more established exchanges. Over 574 coins are traded on the Cryptopia website, which is a huge number by exchange standards. Of the 1400 coins or so in existence, many are complete garbage with no product or whitepaper, so it wouldn’t make sense to list all these coins on an exchange. Listing a coin on an exchange is not an easy process and some cryptocurrencies might have specific requirements depending on the way they operate. Each coin will need its own local wallet on the exchange. No exchange has close to the number of available cryptocurrencies Cryptopia offers, not even Binance or Kucoin. The Cryptopia interface is a little dated, but it is still easy to use. It does not offer advanced trading features but is good for beginners and those who wish to hold cryptocurrency. Traders should consider opting for Kucoin or Binance if they wish to trade altcoins. Fees for the Cryptopia platform are low but not ultra low. There are also fees for withdrawing New Zealand dollars from your account and fees for withdrawing cryptocurrencies, though these are not onerous. Technically speaking Cryptopia is secure. The platform does not distribute personal information, strong passwords are required, and they have a good 2 Factor Authentication (2FA) process. The typical places to buy popular forms of cryptocurrency are generally not effective for buying alternative coins. This is because these larger exchanges are busy with new users and only want to deal with real coins that already have a high trade volume. They are under tighter regulatory standards and they are also slower to move as compared to the smaller and more innovative exchanges. Bittrex is a major USA-based crypto exchange that provides over 190 cryptocurrencies. They are also well regulated and compliant, and this may suit the needs of both people looking for altcoins and those looking for an exchange with a good level of reliability and security. It claims to handle more Bitcoin volume than any other exchange in the world. Fees are around .25%. Bittrex does not accept fiat currency and verification can be quite fast, though verification is also mandatory to withdraw any amount. 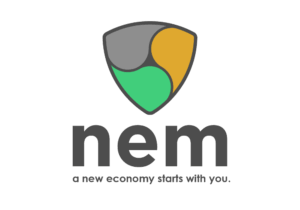 It is a rare exchange that is suitable for both traders and newcomers alike. Poloniex is another huge cryptocurrency exchange supporting over 100 cryptocurrencies. It had the highest volume of Ethereum in 2017 and is also a crypto-only exchange, though USDT (tether dollars) can also be deposited. Fees are between .15% to .25% on trades. Poloniex has been around since 2014 and thus has more credibility and security than Kucoin or Binance. However, verification procedures can be lengthy and invasive. Most of the larger exchanges offer between 5-30 cryptocurrencies which is not enough for those looking to trade altcoins. Bitfinix offers 13, Litebit offers around 35 and CEX.io offers 4. Realistically, if you want to get alternative coins at the lowest prices, then Binance or Kucoin are the best options. They are new and innovative while offering low fees. The best alternative coins will be offered there months or possibly even years before being listed on larger exchanges such as Kraken and Coinbase. This is a huge advantage over the larger exchanges and offers investors the chance to speculate on the exchange coin, gain dividends and invest in cryptocurrency before it goes mainstream. Binance and Kucoin also allow you to purchase coins immediately without any hassle from some of the larger, stricter exchanges who have had things too easy in a market where everybody was desperate to get their hands on some crypto. For 2018 Binance and Kucoin are easily the best exchanges by a large margin. Of the two, Kucoin is a better option simply because it is younger and has more market share to gain compared to Binance, as well as an excellent customer service team compared to all other exchanges. Kucoin is our pick for the best altcoin exchange in 2018. If you are looking for a little extra security or some of the more exotic coins then you can try Cryptopia, as it is more established than the two Asian exchanges. Bittrex and Poloniex are good options for those who need even more security as they have been around longer. The downside to Cryptopia is that fees can be a little more expensive and you will need to get verified to withdraw your funds. If you are new to the world of cryptocurrency, exchange verification is not a smooth or pleasant procedure and is best avoided at all costs if possible. Unfortunately, the exchanges which list altcoins the quickest and are the easiest and cheapest to purchase from are also the least secure. Kucoin, Cryptopia, and Binance are nowhere near as safe as Coinbase or Kraken. And if your funds go missing this year, do not expect them to be returned by the exchange operators. If you want to make the most profit with up-and-coming coins you must take on more risk. This risk can usually be mitigated by withdrawing the cryptocurrency to a local wallet, but new cryptocurrencies might not have user-friendly downloadable wallets available. It is always a tradeoff.